built in 1828, combines traditional elegance with modern luxury. Also available on an exclusive-use basis so you’ll only be surrounded by your guests enjoying the privacy of this beautiful listed mansion and it’s spectacular setting for your wedding or corporate event. Sometimes you just want to bring everyone together, spend time with your family or celebrate that special anniversary or occasion. Here at The Old Manse of Blair you can relax and dine in luxurious surroundings in one of the most beautiful listed buildings in Highland Perthshire. The Old Manse of Blair has revealed a new restaurant, The Orangery. A beautiful light environment in a wonderful heritage setting. The restaurant creates family friendly, Scottish contemporary food, focusing on fresh seasonal ingredients and the finest local produce. We see every event as a unique opportunity to create a bespoke offering tailored to our clients requirements. Contact us to discuss our 2019 and 2020 packages. We only hire on an exclusive-use basis, so you’ll only be surrounded by your guests enjoying the privacy of the estate to celebrate. There is a vast range of activities to choose from here in Highland Perthshire. Come and explore…. 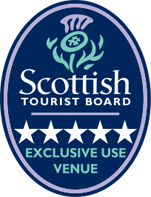 If you’re looking for a meeting space central to all the major cities in Scotland and with the privacy of your own exclusive space, we can accommodate your requirements here at The Old Manse of Blair. You’ll have exclusive use of our 10 acre estate with on site parking and wifi. 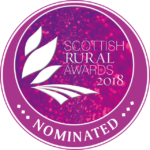 The news is in and we are thrilled to have been nominated in the 2018 Scottish Rural Awards. The awards recognise rural businesses and are the ultimate benchmark of excellence in Scotland’s countryside. Keep up to date with all our latest news on our news page.